Part two: what exactly is a freelance foreign correspondent? Riding the Pyongyang Metro. 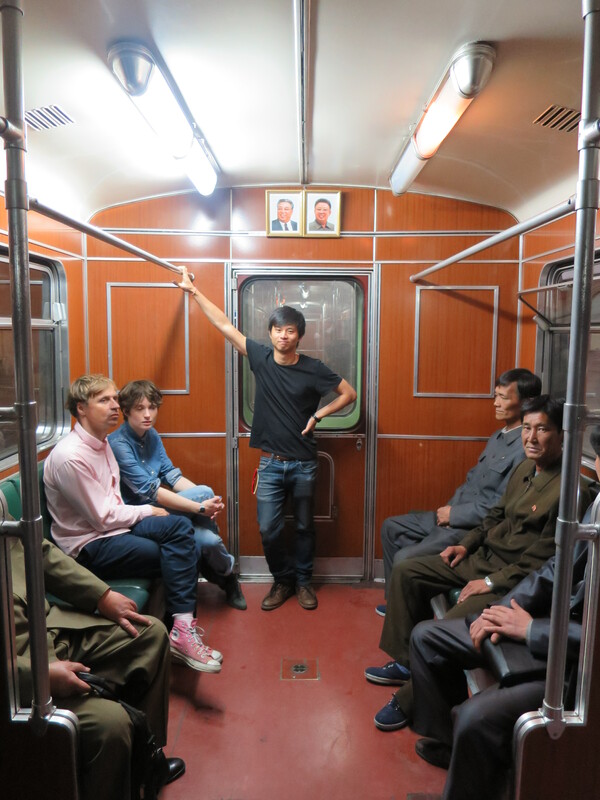 Going to North Korea has so far been my only instance of travel + journalism. I aim to remedy this. So far this year I have traveled to Thailand twice, but entirely not for journalism reasons. But I have also traveled to North Korea and this was for journalism. I filed two stories and a photo gallery. But they were features. I did not seek out war zones or conflict areas, natural disasters or political turmoil. I did not attend any riots or charter a plane to any typhoon-hit areas. When news happens, foreign correspondents will scramble and make a dash to the area affected. Later this year I am planning to go to Myanmar. It seems a fascinating country (the second largest in southeast Asia) on the cusp of so many developments. I want to go and explore, seek out stories and get to know the place better. I had been developing a Myanmar story for months now, checking up on it, cultivating a source, and a major newspaper was interested in the story. But then someone beat me to the punch with a similar but not-quite-the-same story and the newspaper declined, so now I will attempt to sell it elsewhere. There’re a lot of unknowns so I feel like I have to go there to get a better nose for the angles that might sell, that might interest editors who don’t really care. They worry not about how interesting something is, but how relevant and resonant a story might be. I should do a lot of background reading (and video watching) to get a better sense of the country, arrange to go there, talk to as many people as I can find while there, and travel around inside. It might take a month or so. I cannot simply parachute in and expect to write things. Should a freelance foreign correspondent be expected to dig into time and funds in pursuit of stories while living awhile somewhere new? I don’t know. I only know what I want to do. And that’s to go to Myanmar. To see what it’s like, find stories and write them. But I will have to try to ensure the best chance possible of being published and being paid. Travel without publication and payment for a traveling journalist is not sustainable and an untenable luxury. For part one in this series go here. A post on travel + journalism is here.